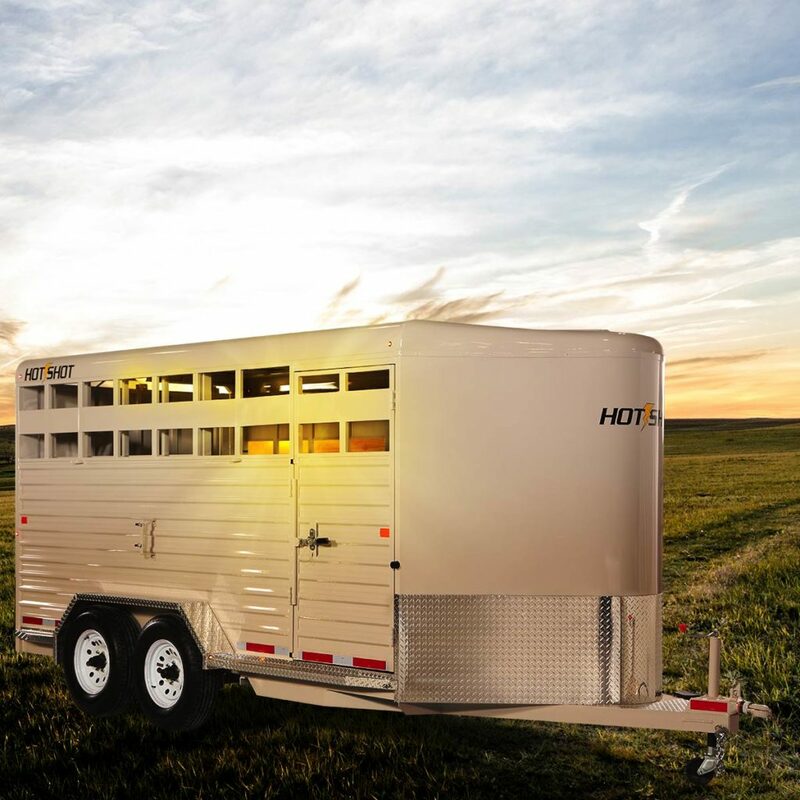 Our Hot Shot gooseneck trailer is a 7’ wide x 7’ tall livestock trailer. The design of this trailer has electro-galvanized seamless corrugated steel sides for strength and durability. This extra-safe stock trailer is light weight and built for safety. This is a great pulling trailer because of the aerodynamic design of the front, cutting the wind while still providing enough space in the gooseneck area for an optional tack package. 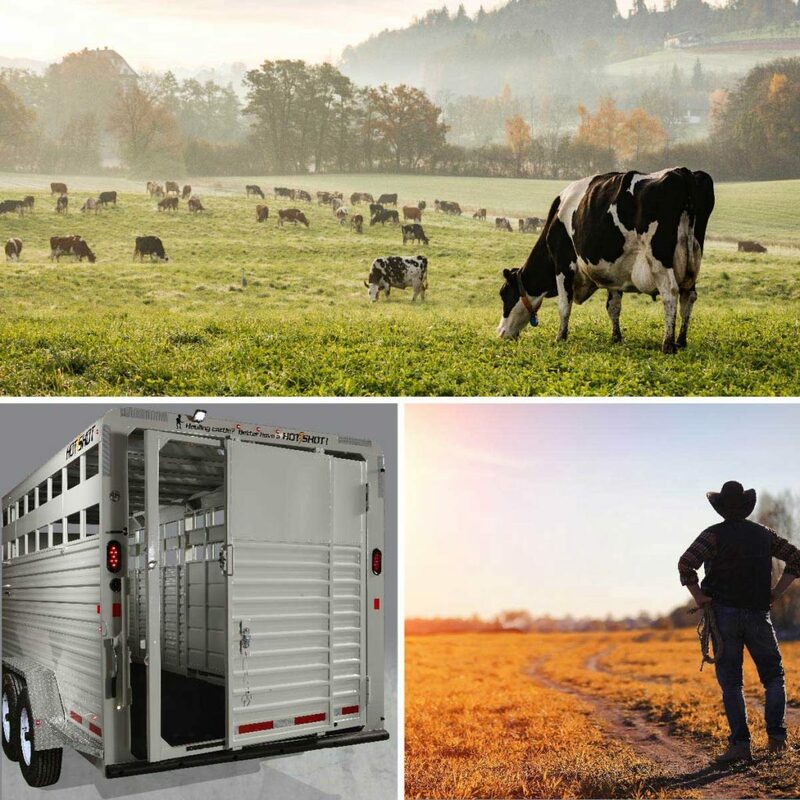 Check out this great priced trailer that is built for real stock men and women. *All Sealed Tack Packages Include: Non-sliding, solid rear gate. *Sealed Tack Package includes non-sliding, solid rear gate.